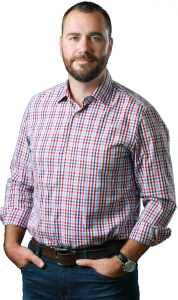 Depending on the type of firearm business activity you’d like to conduct, you’ll need a particular “type” of FFL license. 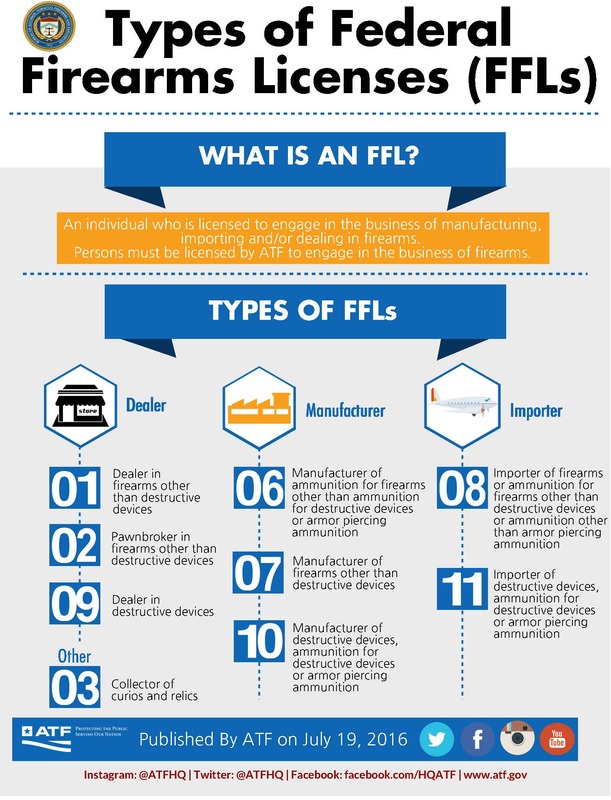 An FFL is a license that allows the Federal Firearm Licensee (the person/company that has an FFL license) to import, make, or sell firearms as a business. Federal Firearm Licenses, by themselves, allow dealing, manufacturing, or importing of GCA / Title I firearms only. These include standard rifles, shotguns, and handguns. How Many FFL License Types Are There? There are currently 9 different types of FFL licenses. Here’s a summary of each FFL License type along with its purpose and what SOT class is required. Collector FFL – This category can not “engage in the business of firearms.” As the name suggests, it is for collecting firearms only. Dealer FFL – These FFLs may purchase and sell guns as a business and they may also operate as gunsmiths. 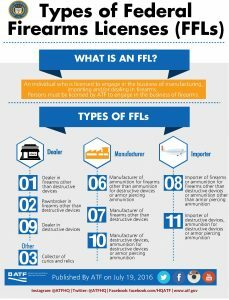 Manufacturer FFL – There are two types of these FFLs: manufacturers of firearms and ammunition and manufacturers of ammunition only. Firearm and ammunition manufacturers may, of course, manufacture firearms and ammunition and also act a dealer. Ammunition manufacturers may only manufacture ammunition and may NOT act as a firearm manufacturer nor dealer. Importer FFL – These FFLs may import firearms and/or ammunition and also act as a dealer. Here’s a break-down of the types of activities that can be conducted depending on the FFL license type. Note that the Type 3 FFL and Type 6 FFL do not allow any business activity with firearms. This is because the Type 3 is for collecting only and the Type 6 is for manufacturing ammunition only. 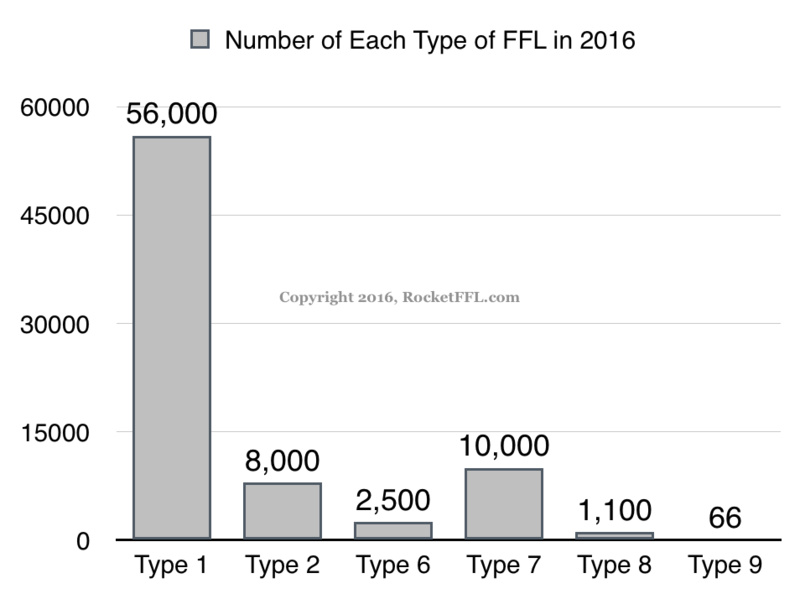 You can tell which type of FFL someone has once you know what each part of an FFL number means. The cost for each FFL license varies from $30 up to $3,000 for the both the initial FFL application fee and the 3-year renewal fee. For a breakdown of these costs, see our article, How Much Does an FFL Cost? An FFL holder must also become a Special Occupational Taxpayer (SOT) in order to deal, manufacture, or import NFA /Title II firearms. 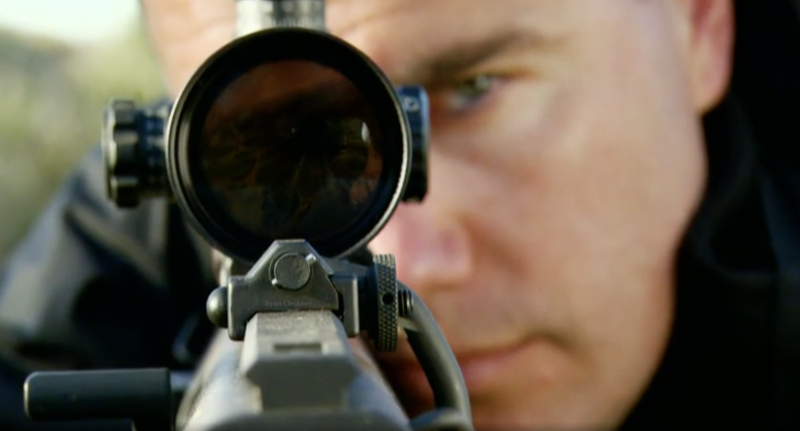 These firearms include specially regulated items like Silencers, Short Barreled Rifles (SBRs), and full-auto machine guns. Different classes of SOTs may engage in different activities. The tax-rate for SOT registration varies depending on how much you sold for some FFLs. FFL Types, 9, 10, and 11 are the only FFLs that allow working with Armor Piercing Ammunition and Destructive Devices. Which Type of FFL is Right For You? manufacturer FFL. These are the two most common types of FFLs. For example, see the graph of the distribution of FFLs in our country. 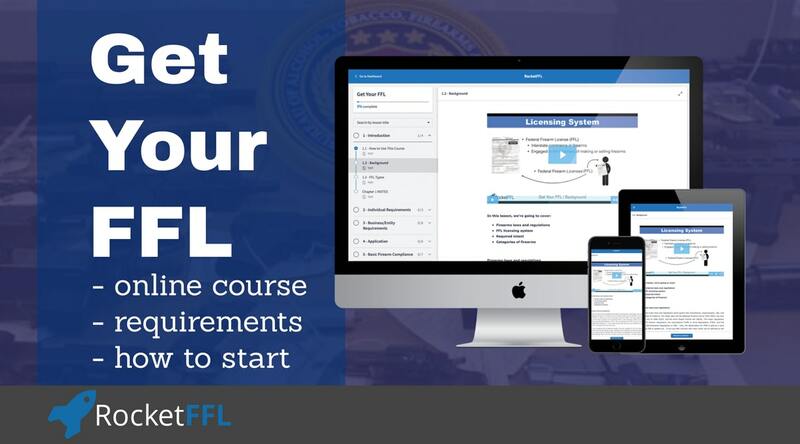 Learn more about how to get an FFL or, if you’re ready to get your own FFL, sign up for our Get Your FFL and Become an SOT courses.